Planet3, an exploration-based learning company, announced it will launch its first pilot program with six school districts in Nevada, as part of its Early Adopter program. Planet3 has also raised additional funds for a total of $13 million to date to advance its digital learning platform. Modeled on the Next Generation Science Standards, Planet3 is a personalized learning platform that uses the planet Earth as a laboratory for teaching Earth, Life, and Physical Science. The Company’s long-term plans include K-12 curriculum for all Science, Technology, Engineering, Arts and Math (STEAM) subjects. The Planet3 platform utilizes compelling narratives, real­ world data and visualization to inspire the next generation of scientists, engineers, artists, and technologists. Planet3’s curriculum, woven through immersive 3D experiences, illuminates new frontiers in science to empower teachers and students to construct deep understandings of the intricate connections between STEAM subjects, ourselves, and our planet. The initial pilot is designed to tap into students’ interest in the world around them, and will focus on middle school Earth and Life Sciences. Planet3 will be targeting a minimum of 25 pilot schools in six districts in Nevada, including Clark County, the largest school district in the state. These schools have volunteered to participate in the Early Adopter pilot program and provide feedback and insights on their classroom experiences to help refine and improve the product to create an optimal user experience for both students and teachers. The Planet3 platform is scheduled to formally launch in Fall 2017. The lead investor for Planet3 is Switch, the Nevada-based developer of the renowned SUPERNAP Data Centers. The proceeds will be used to advance the Planet3 digital learning platform and further expand the Early Adopter program. 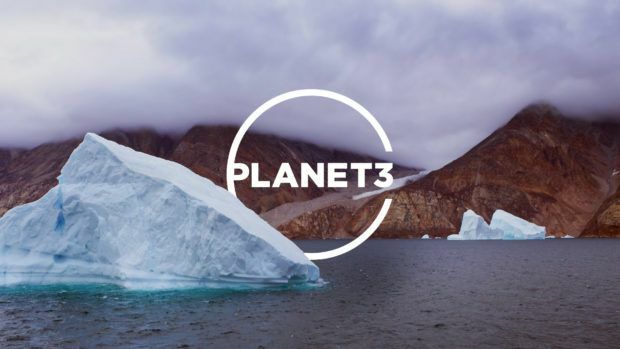 Co-founded and led by Tim Kelly, former President of the National Geographic Society and media pioneer, the Planet3 team is comprised of leaders in science, education, game design and technology. Planet3 is an exploration-based learning company that presents the entire Earth as a virtual living laboratory. Modeled on the Next Generation Science Standards, Planet3 delivers personalized learning via adventure and exploration to teach Earth, Life, and Physical Science. The digital platform utilizes compelling narratives, real­ world data and visualization to inspire the next generation of scientists, engineers, artists, and technologists. Planet3’s curriculum, woven through immersive 3D experiences, illuminates new frontiers in science to empower teachers and students to construct deep understandings of the intricate connections between Science, Technology, Engineering, Arts and Math (STEAM) subjects, ourselves, and our planet. For more information, visit www.exploreplanet3.com.